Today's post is quick in every way..my post will be short :) and the recipe is for a quick stir-fry salad made in less than 10 minutes. You can say it a salad or chat or a stir-fry side dish. 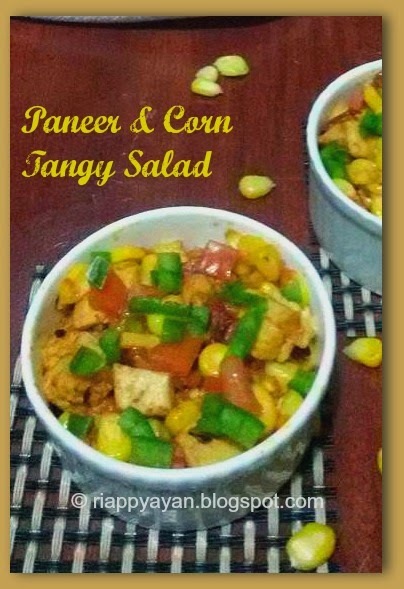 Any way, it's finger-licking delicious with just two main ingredients, paneer and corn. This tangy salad is very easy to put together and packed with flavour and fun. 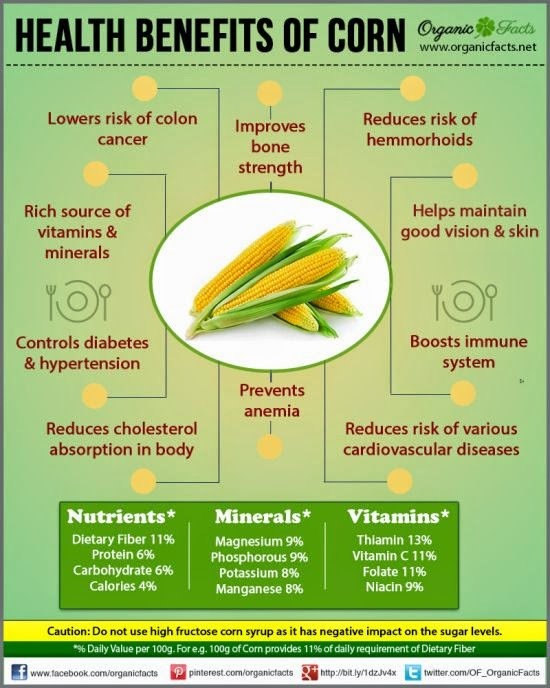 Corn is one of the healthiest vegetable available, its health benefits includes controlling diabetes, prevention of heart ailments, lowering hypertension and prevention of neural-tube defects at birth. 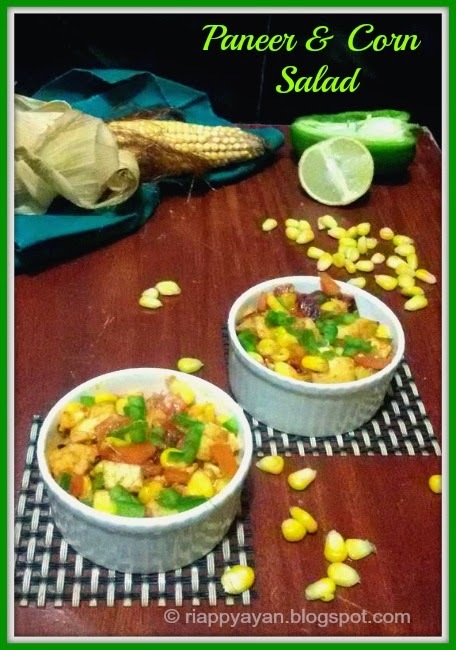 Corn is a rich source of vitamins A, B, E and many minerals. Its high fiber content ensures that it plays a significant role in the prevention of digestive ailments like constipation and hemorrhoids as well as colorectal cancer. The antioxidants present in corn also act as anti-carcinogenic agents and prevent Alzheimer’s disease. Corn contains abundant minerals which positively benefit the bodies in a number of ways. Phosphorous, along with magnesium, manganese, zinc, iron and copper are found in all varieties of corn. It also contains trace minerals like selenium, which are difficult to find in most normal diets. Corn also has a significant level of iron, which is one of the essential minerals needed to form new red blood cells; a deficiency in iron is one of the main cause of anemia as well. prepare vegetables as mentioned in the ingredients list. heat oil in a pan, temper with cumin seeds, then add sliced onions. Stir fry a little till they change color. Now add chopped capsicum, green chillies and tomato. Stir fry for another 2 minutes, then add cubed paneer pieces and stir fry in medium heat for 2 more minutes. lastly add corn kernels along with all the spices, chat masala and red chilli powder. Season with salt and stir fry for another 1 minute. Remove from heat and add fresh coriander leaves and mix thoroughly, cover and set aside. 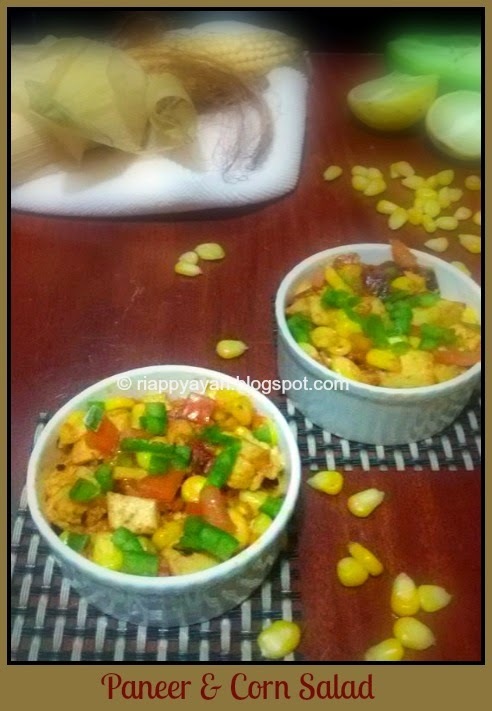 Enjoy this simple salad with dal or any Indian sabji as a side dish. I'm sure you'll be hooked to this dish once tried like me.......Bon Apetit !!!!!!!!!!!!!!! whenever I want to make a basic salad more appealing, I add sweet corn. Love it. Nice salad for a hot day. I am hosting an event on my blog, please participate. Thanks.